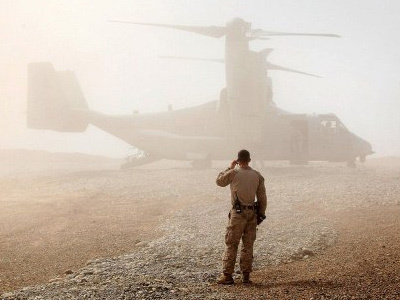 An Afghan parliamentary investigation team has implicated up to 20 US troops in the massacre of 16 civilians in Kandahar early on Sunday morning. It contradicts NATO's account that insists one rogue soldier was behind the slaughter. ­The team of Afghan lawmakers has spent two days collating reports from witnesses, survivors and inhabitants of the villages where the tragedy took place. “We are convinced that one soldier cannot kill so many people in two villages within one hour at the same time, and the 16 civilians, most of them children and women, have been killed by the two groups,” investigator Hamizai Lali told Afghan News. Lali also said their investigations led them to believe 15 to 20 US soldiers had been involved in the killings. He appealed to the international community to ensure that the responsible parties were brought to justice, stressing the Afghan parliament would not rest until the killers were prosecuted. "If the international community does not play its role in punishing the perpetrators, the Wolesi Jirga [parliament] would declare foreign troops as occupying forces,” he said. The head of the Afghan parliamentary investigation, Sayed Ishaq Gillani, told the BBC that witnesses report seeing helicopters dropping chaff during the attack, a measure used to hide targets from ground attack. Gillani added that locals suspect the massacre was revenge for attacks carried out last week on US forces that left several injured. 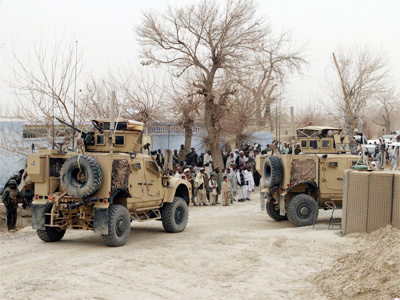 In response to the massacre Afghan PM Hamid Karzai called for US troops to quit Afghan villages and confine themselves to their military bases across the country. 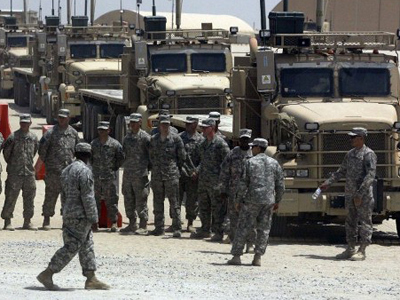 Furthermore, the Taliban announced that talks with US forces would be suspended. Meanwhile the US military has detained one soldier in connection with the massacre and transferred him to Kuwait amid outcry for a public trial in Afghanistan. Currently, the soldier is being flown to Kansas base, AFP reported. US authorities are currently conducting an investigation into the motives behind the attack, but maintain that the soldier’s trial must be dealt with by the US legal system. It is believed that the soldier may have had alcohol problems and been suffering from post-traumatic stress disorder.